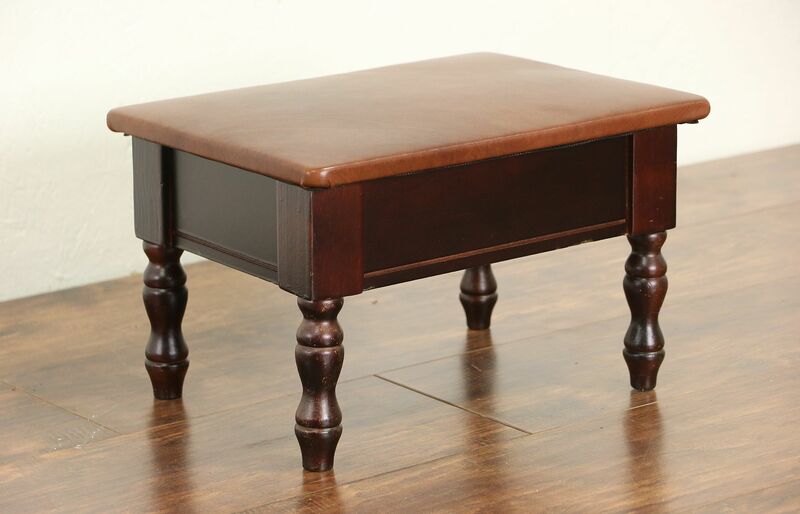 A sweet little footstool is about 10 years old and has a very good finish. There is storage under the new saddle leather top. Size is 15" wide, 11 1/2" deep and 9 1/2" tall.